Flutter is Google’s open source toolkit for helping developers build iOS and Android apps. It’s not necessarily a household name yet, but it’s also less than a year old and, to some degree, it’s going up against frameworks like Facebook’s popular React Native. Google’s framework, which is heavily focused around the company’s Dart programming language, was first announced at Google’s I/O developer conference last year. As the company announced today, Flutter is now officially in beta and a number of developers have already used it to build and publish apps that have hit top spots in both the Google Play and Apple App Store. Seth Ladd, Google’s product manager for Flutter, told me that it’s no surprise that the company is making this announcement during MWC. The company wants to use this opportunity to engage with mobile developers and to highlight the advances it made over the course of the last year. For the most part, that means better tooling, like support for Android Studio and Visual Studio Code for writing Flutter apps. Since launching its alpha, the Flutter team added support for new phones like the iPhone X, a number of accessibility features, right-to-left text support and worked on localization and internationalization, as well as the ability to run Flutter code in the background. What’s probably even more interesting for developers, though, is Flutter’s support for stateful hot reloads. That means you can make changes to your source code and within a second, you can see that change reflected in the app on your phone. As Ladd noted, that not only makes the development process faster, but also reduces the need for prototyping tools. With its focus on Dart, Flutter relies on what is still a bit of a niche programming language. Ladd, however, argues that Dart is the just the right language for Flutter. “We didn’t find another language that hit this sweet spot of fast development cycle plus the standard stuff devs expect and love like object orientation, a rich core library and very easy onboarding. With this beta, Flutter now supports the pre-release version of Dart 2, which offers better support for client-side development, too. The Flutter team also stresses that Flutter plays nice with existing parts of an app. You don’t need to write your complete app in Flutter. Indeed, many of the developers that have already used it have simply added new Flutter-based screens to their existing apps. 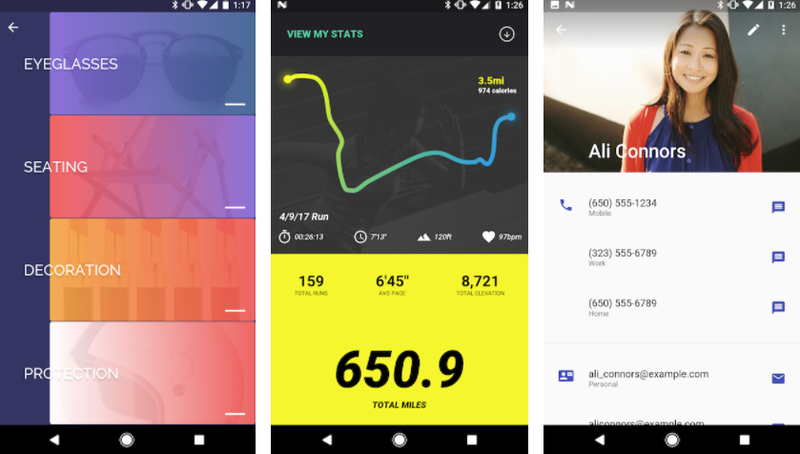 As for apps that are fully based on the new toolkit,Google notes that the Hamilton app is among the most popular app to have been built with Flutter.